Try asking some of the cheapest party bus companies for that and you’ll be met with resistance. May 7, 2018 (Washington, DC) – How valuable is a ‘guarantee?’ In today’s modern society, they might not seem to be as valuable as they once were. After all, it seems as though everyone ‘guarantees’ satisfaction or success. When looking for a DC party bus service, whether this is for a teenage son or daughter on prom night, a wedding, a bachelor or bachelorette celebration, or anything else, a guarantee would be a good idea. After all, do you know the type of vehicle you’ll actually get? 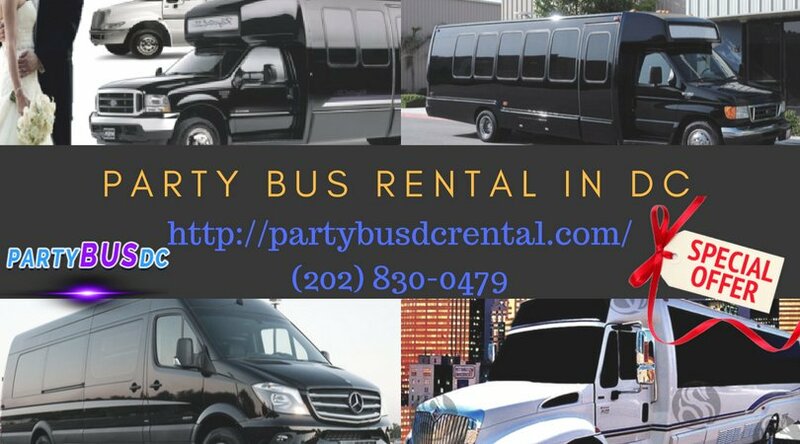 When looking for any type of bus rental in DC, including a party bus, it’s easy for companies to advertise these services, but what does that mean? Generally, a party bus can be defined in many different ways. A lot of these smaller, relatively new transportation companies might convert an old mini school bus and what they call a party bus, but is that what you envision for your teenage son or daughter or the bachelor or bachelorette of honor? That’s why it’s important when booking any type DC charter bus that you get the company to guarantee you will receive the exact vehicle you expect, probably one that is pictured on their website. A true, genuine party bus is something to experience. It’s like a rolling nightclub. A quality DC charter party bus should make any event better, not leave people wishing they had something different. 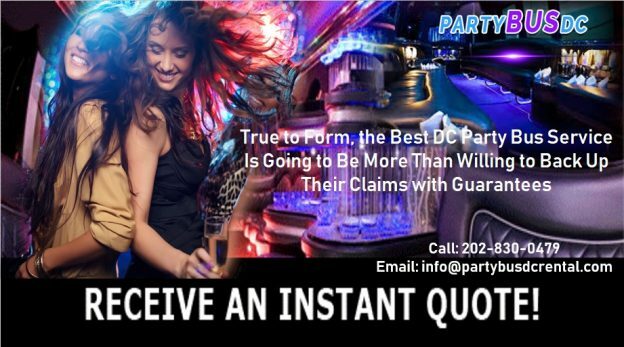 For those who want the best, but also want the most reasonable or affordable rates out there, they should contact Party Bus DC any time of the day or night at 202.830.0479. They can also visit their website, see pictures of what true party buses look like, view of the services they offer, and make reservations quickly and easily. That website is www.partybusDCrental.com. If anyone says you’ll get a party bus, but is not willing to guarantee that you receive exactly what you expect, it’s time to look elsewhere. Nor the company has the experience, level of satisfaction, and safety record to match Party Bus DC.